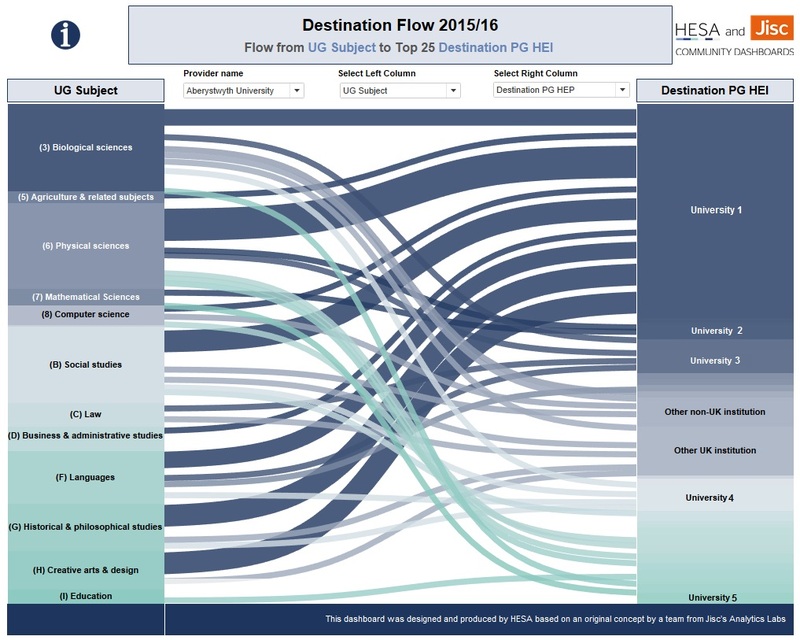 Community Dashboards are interactive data visualisations of UK higher education, developed and produced by HESA for Heidi Plus, based on original prototypes created by Jisc’s Analytics Labs teams, and developed for the HE sector, by the HE sector. Community Dashboards in Heidi Plus combine the collaborative expertise of HE professionals and Jisc, with HESA and other HE sector data, and the latest data visualisation technology, to bring invaluable sector insight to all HESA subscribers and Jisc members. How have Community Dashboards been developed? Jisc’s Analytics Labs bring together staff from the UK HE sector, including those from planning, finance, HR, and libraries. Drawing on their strengths and experiences to identify common issues, they acquire and explore data sources for insights, and develop prototype interactive dashboards for the benefit of their peers. Using the latest data-viz software and our expertise, HESA ensures the Community Dashboards provide the best HE intelligence available to UK HE providers. Using Tableau and Alteryx software, HESA develops and quality assures the selected prototypes to ensure that they are suitable to be delivered via the Heidi Plus HE business intelligence service. As a result, these new dashboards provide credible, accessible business intelligence and interactive HE data visualisations to address issues faced by the sector, and to support decision making. The first Community Dashboards cover topics such as student recruitment, destination of leavers, postgraduate research analysis, and identifying new benchmarking groups – all produced with striking data-viz graphics. Beta Community Dashboards are made available to all Heidi Plus users to evaluate. User feedback enables HESA and Jisc to prioritise the best for development and release as service quality Community Dashboards. How will Community Dashboards evolve? To ensure Community Dashboards remain current and relevant, the Experts’ Group, formed from HE data professionals and alumni from previous Analytics Labs cohorts, has responsibility for shaping future topics and ensuring they are the result of true collaboration from within the sector.